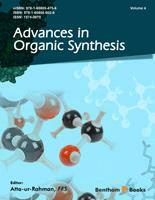 The present volume presents some recent exciting advances in synthetic organic chemistry. In the first article, Spengler and Albericio review various possible routes to the asymmetric synthesis of α-unsubstituted β-hydroxy acids. In another interesting contribution, Hapiot and his team describe the role of modified cyclodextrins in rhodium-catalyzed hydroformylation. Salvador and co-workers focus on applications of bismuth (III) reagents and catalysts in the synthesis of hetrocyclic compounds of pharmaceutical interest. Next, Sanz and Pedrosa review applications of dioxomolybdenum(VI) complexes in organic synthesis. Kotali et al. discuss the progress in the reactions of nitrogen derivatives of carbonyl compounds with phenyliodoso diacetate. Perchyonok present a detailed review on improvements in free radical producing technology. Tiwari and colleagues highlight the rapid increase in novel applications of ionic liquids in carbohydrate chemistry. In the last chapter, Shaaban and Elwahy review the synthesis of trifluoromethyl-substituted fused bicyclic heterocycles and their corresponding benzo-fused analogues. I hope that this volume will prove to be of considerable interest to all those practicing art of organic synthesis. This eBook would not have been possible without the cooperation of all the contributing authors. I am grateful for the time and efforts made by the editorial personnel, especially Mr. Mahmood Alam (Director Publications), Taimur A. Khan and Sarah A. Khan at Bentham Science Publishers.